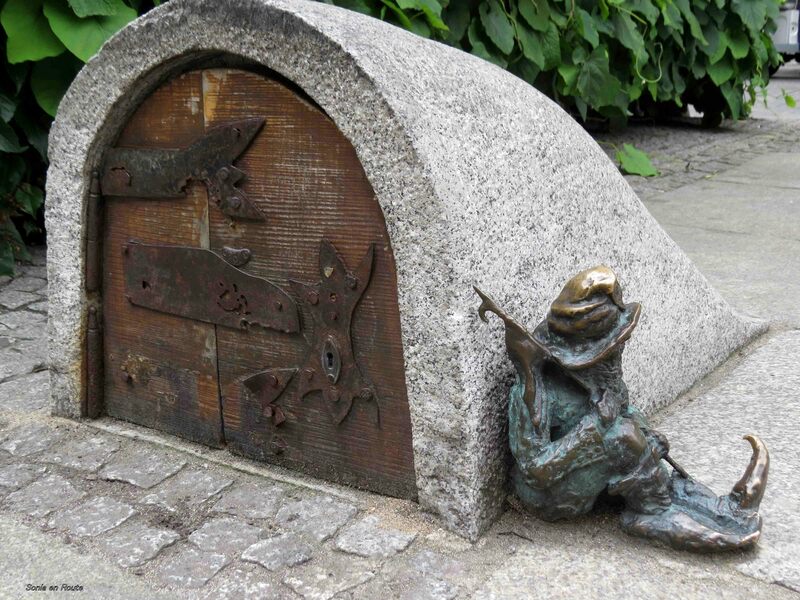 My little friend snoring by the entrance to his home is one of the over 150 gnomes that inhabit Wroclaw, Poland. While walking in the city you can find them underfoot, on the window sills, behind street lamps and in all sorts of unbelievable places. Some are very visible, others you really have to look for. My contribution to Cee’s Fun Foto Challenge – Entrances and Doors. What a fun place to visit! Great photo for this challenge. Great door for this week’s theme. Thanks for playing. I sure hope you enjoy your week. A mozesz. Dzieki. 🙂 Probuje roznych. A ktory ci sie podobal najbardziej? Cute! Congrats on the recognition!